In conjunction with Lee Road Elementary School’s Community Service Committee in the Levittown Public Schools, Lee Road musicians performed their winter concert for a cause on Jan. 22. Student members of the Lee Road Community Service Committee and non-members, along with former Lee Road students collected 190 food items during the evening to benefit the Harry Chapin Food Bank of Long Island Cares, Inc.
With the help of Lee Road Community Service Committee advisers Julia Moore and Christina Wilkinson, parent member Jenny Thompson and parent volunteers, concert-goers were encouraged to donate food items before taking their seats at the concert. 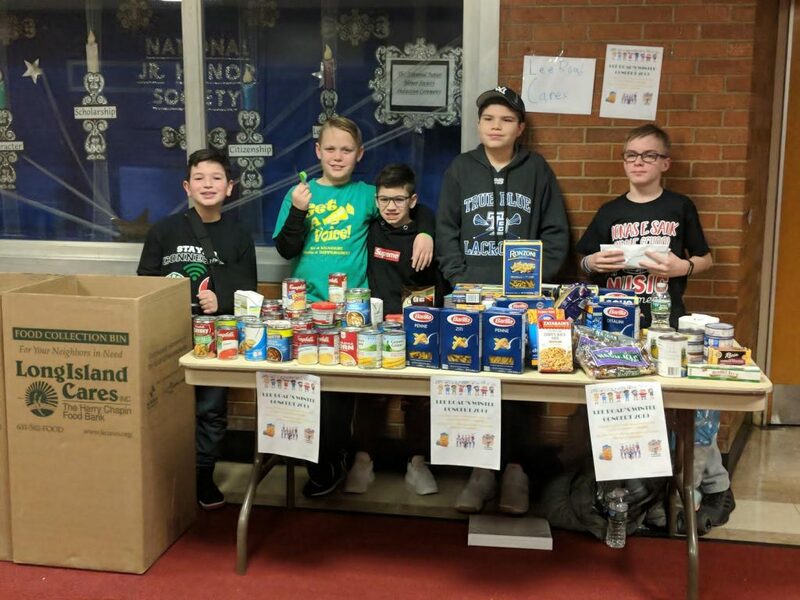 The generous donations would help the orchestra, choruses and band to “turn their music into meals.” Chapin, a Grammy-winning musician and humanitarian founded Long Island Cares, Inc. to help feed local families in need.